This aptly sums up the much-hyped Ammartia Ignite Concert held at the Glamis Arena last weekend, which attracted a full house. It was indeed a night many doubting Thomases had concluded would become a monumental flop. So convinced were some of the arm chair critics who still question the show’s success despite failing to show up. They were also convinced it would be washed away by the rains. Others say Ammara Brown and her handlers were just lucky. 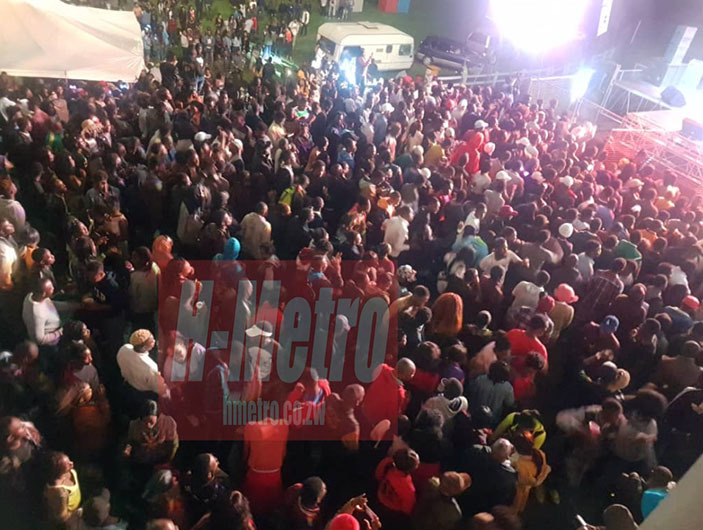 But it would remain a fact the show was indeed a success despite rain fears, which many thought would dampen the party mood. One wonders when these critics have become weather experts and soothsayers. The weather was favourable from start to finish. Around 9pm, hordes of fans were still milling outside the show venue paying to attend the show. The Ammartia Ignite show would mean nothing without mentioning the Ninja president’s exploits on stage. The Kambuzuma bred chanter was at his usual best. He made his job very simple by playing sing-along tracks during his slot. The highly appreciative crowd which was hugely dominated by college students was madly in love with the award-winning chanter’s playlist. He opened his set with the track Paper bag, sending the crowd into delirium. Winky D maintained the tempo as we went on to play such popular tracks as Twenty Five, Finhu Finhu, Bhebhi Ramwari, Simba, Ngirozi and Kasong Kekudira Jecha among others. He brought a shovel on stage as he played the track Kasong Kekudira Jecha which has political connotations. Whether it has political connotations or not, fans simply loved the song and they sang along to it as the chanter ushered out all his artistic verve on stage. After capping a fine year which saw him releasing sing along tracks under the Military Touch Movement brand, the flamboyant rapper lived to his billing. The popular ladies’ man, who has assembled a team of talented dancers, played with a live band and what an awesome act he delivered. He just did the right thing by churning out such chart-toppers as Nhema, Tsvigiri, Pahukama and of course the single ladies and perverts’ favourite track, Nzenza. It was as if it was his last time to perform on earth as he gave it all to the loyal fans who cheered him throughout his slot. The rapper, who has endeared himself with trap and Zim hip hop music lovers, came with all the arsenal and killed it on stage. It’s no doubt the urban rapper’s script continues to burn a trail of success with each passing day. And the Ammaria Ignite Concert was just another platform for him to shine. 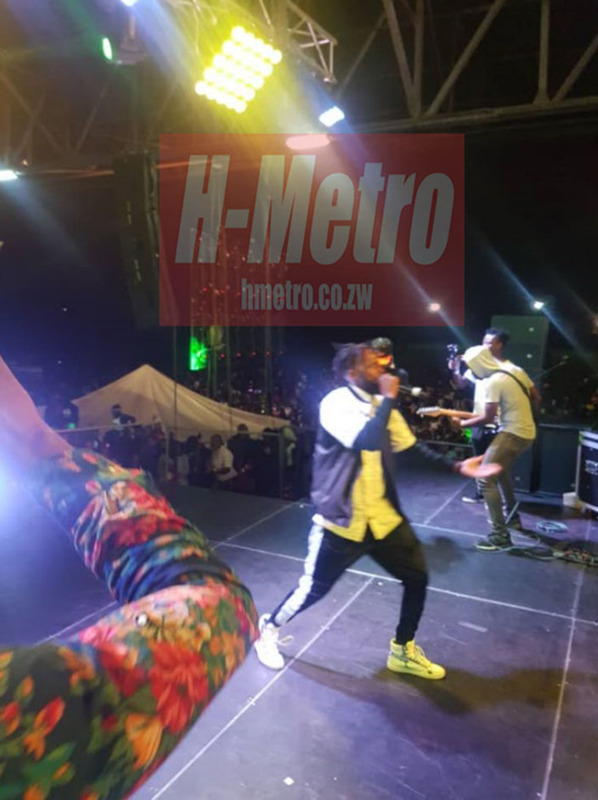 Like his counterpart EXQ, the rapper made his job easier when he opted for a playlist of sing along songs like Mhofu, Mai Mwana, Zino Irema among others. His act was just amazing and it was evident he had prepared for the night. Then there was the lady of the night who showed that she is indeed serious with her job. However, it appears she is good when featuring or being featured by other artistes. Without fear or favour, Ammara needs to put a lot of effort when she is to play those songs without the artistes she would have featured. She opened her slot with the song Kure Kure without Jah Prayzah. 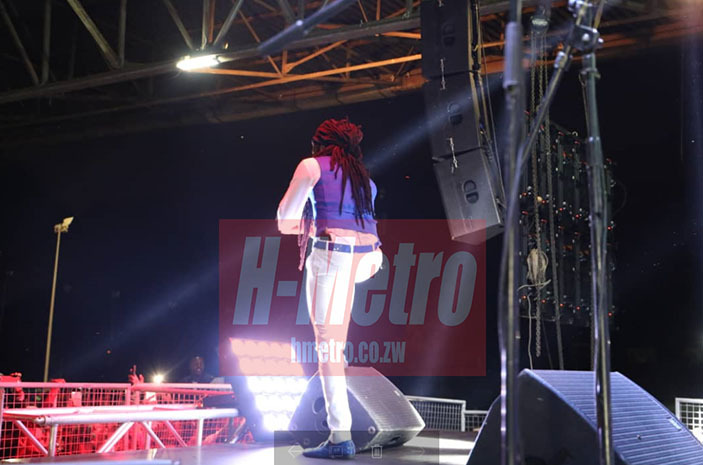 This time around the person who was standing in for Jah Prayzah failed to live to expectations. 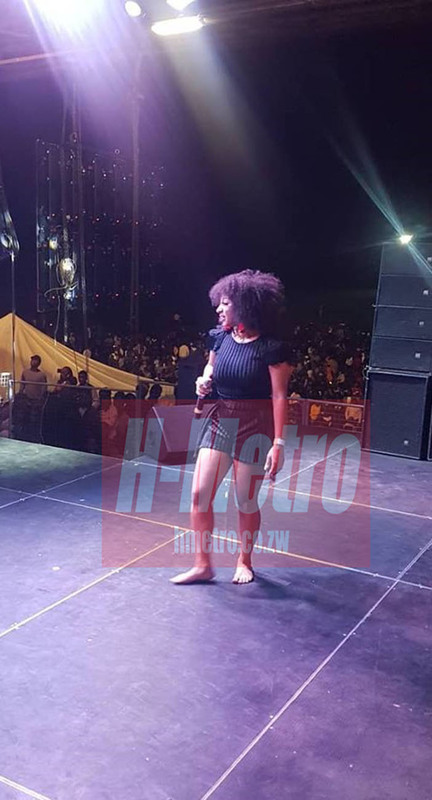 However, Tytan who appeared on stage when she played the song Mukoko made her job easier. Then her sister Chengeto came and helped her up the game when she played the song Wachu Want and the two daughters to the late Andy Brown showed their chemistry. It was indeed a marvel to watch as Chengeto and Ammara showcased their talent with ease on a night many had written them off. Then, the big man of the night appeared on stage exuding confidence. He was accompanied by two beefy bouncers, socialites Pokello Nare and Genius “Ginimbi” Kadungure who stole the show. It almost turned out to be a Ginimbi show as he was all over the stage, presumably superintending proceedings. It was also Ginimbi who drove Mr Eazi in one of his sleek vehicles around the city during his stay and later to Club Sankayi for an after party. Back to Mr Eazi’s slot, he never put a foot wrong as he justified his presence with a majestic act even though Winky D stole the show prior to the Nigerian’s appearance. He played such hits as Skin Tight, Leg Over, Pour me Water, Feelings before Ammara joined him on stage for the song Svoto. Mr Eazi threw his trade cow boy hat to the crowd which fought for it prompting him to call security to intervene. He also threw his black T-Shirt to the crowd as he left the stage. He thanked Zimbabweans for showing him love and it is reported he left straight for the airport after partying with fans at Club Sankayi. Besides Ammara, Winky D and Mr Eazi’s exploits, other musicians comprising Nutty O, Tammy Moyo and choreographer John Cole also performed at the event. Chengeto performed earlier and Nutty O proved he is indeed one of Zimbabwe’s future dancehall kings in the making. John Cole was afforded an opportunity to showcase what he is good at when he performed along with his dancers. In short, it was a night well spent and Ammara showed us that innovation and synergies are key in the music industry which lacks creativity.